Welcome to Andrea England Art! I'm an artist, illustrator and sailor. I live with my husband Jim on Island Prism, a little yellow sailboat who is currently carrying us around the Pacific Ocean. Cruising from Auckland, New Zealand through French Polynesia and Hawaii to the West Coast of Canada has given me plenty of inspiration, and art provides me with a unique way of sharing my adventures on and under the ocean! My art is often inspired by the sea. I am fascinated by the movements and endless colours of water, and spend as much time as I can sailing on it, swimming in it and diving under it. It's probably not a surprise that my favourite medium is watercolour! My paintings seek to reflect the beauty and magic of our world's wild places. I aim to reflect a feeling of light, life and movement, and often include the wonderful wildlife which I encounter on my travels. You can see more of my work in my shop and portfolio, and follow my adventures on my blog- where I also share art from my sketchbook. If you'd like to commission a special piece of work for yourself or as a gift, then please drop me a line through my contact page- or just send me a note to say hi! You can also find me on Instagram and Facebook, or sign up for my newsletter to receive monthly updates of art, adventures, exhibitions and special offers. I am an associate member of the Coast Collective Gallery in Victoria, BC and a member of the Victoria Arts Council. I have also had paintings exhibited at the Port Moody Art Centre, the Richmond Art Society, the Land Trust Alliance of British Columbia and the Coombes General Store on Vancouver Island. My work is in private collections in Canada, the USA, England, New Zealand, France and Australia. 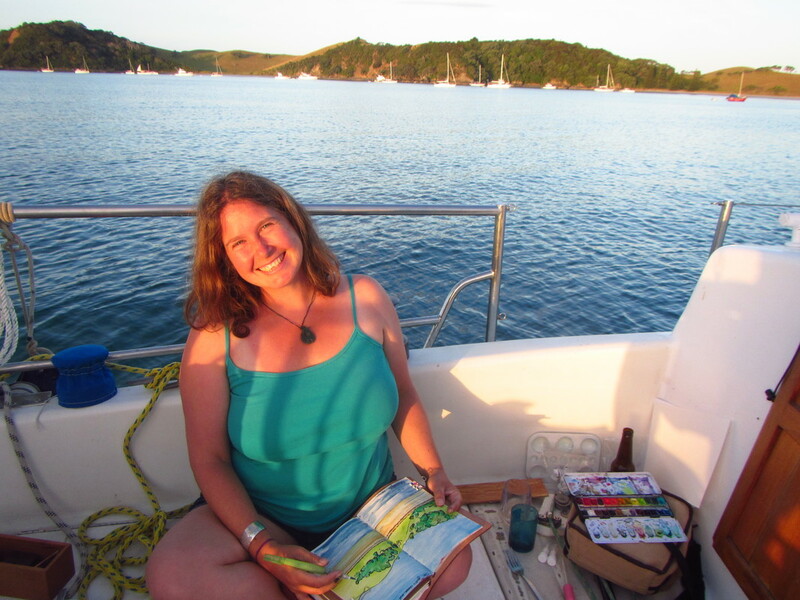 Commissions have included a number of watercolours for private collectors as well as illustrations for 'Marine Diesel Engine Essentials- a Learning and Colouring Book' by Amanda Swan Neal of Mahina Expeditions.